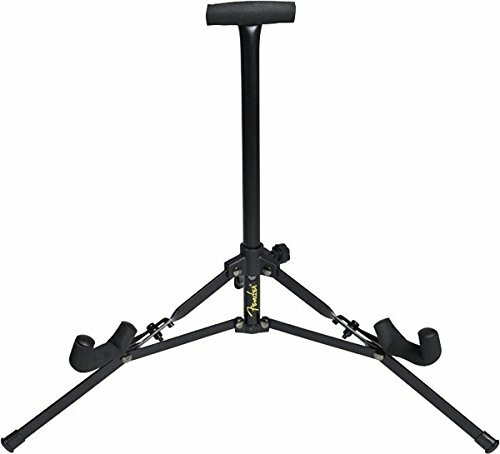 A guitar stand that falls over or takes up too much stage real estate is not what any guitar player wants in a guitar stand. This is my favorite and sets the standard in portable single guitar stands. 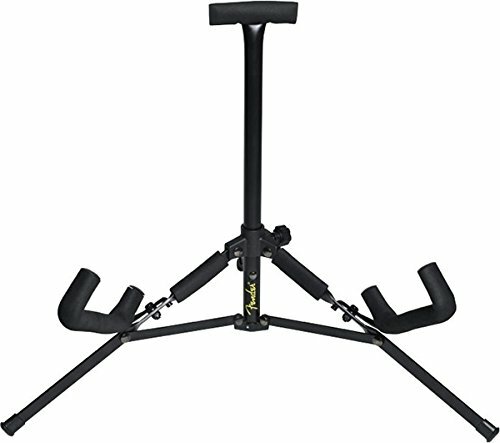 No guitar player wants a guitar stand that is bulky or flimsy or that falls over when you are on stage or in your studio. Every guitarist needs a quality guitar stand but as I have learned over many years, not all guitar stands are created equal. The Fender Mini Guitar Stand is hands down my favorite guitar stand. 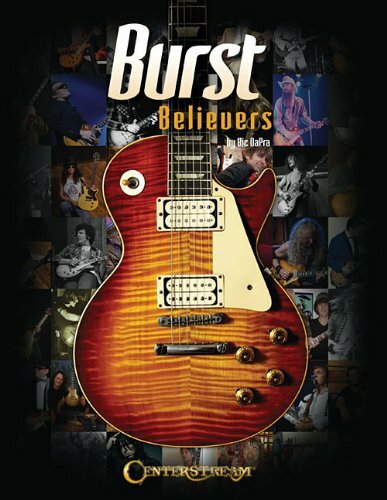 There are several reasons for this and why it made the gifts for guitar players guide which I will share with you now. #1 - It is the only guitar stand I have ever used that has a low center of gravity. Why is this important? Because other guitar stands I've used onstage have a tall piece metal that extends out of the base usually with a c-clamp at the top and are prone to falling over. #2 - It's small size uses the minimal floor space necessary to do it's job as a guitar stand - safely hold your guitar when it's not in your hands. Unlike hanging stands or tubular stands, the fender mini guitar stand makes it easy to just grab your guitar off the stand. If you've used traditional guitar stands, you know what I'm talking about. Most traditional guitar stands have a tripod design usually with big feet at the base, like a mic stand, that extend out for balance. The Fender mini guitar stand doesn't so it uses the perfect amount of minimal stage real estate to provide balance and be out of the way. #3 - It actually fits inside your guitar case. In recent years I have put a lot of effort into simplifying my guitar gig rig. Downsizing is the name of the game in my opinion. Having a guitar stand that neatly fits inside your guitar case (my Fender Strat case) is awesome. One less thing to carry to the gig right? So now I have a bag for my guitar effect unit and guitar cords, my small Vox Brian May amp and my guitar case...that's it! 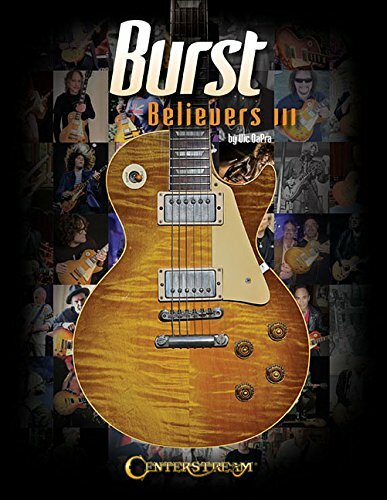 I've looked around, from guitar shops to Fender online and the best price I found is on Amazon. 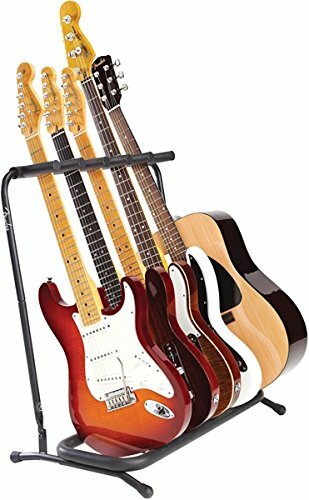 Fender lists it for $19.99 but you can get this awesome guitar stand for as little as $11.94 on Amazon. What's also cool is that you can buy these in packs of two and save even more. So for around $20, you can have two of these Fender mini guitar stands. If my guitars on not hanging on my walls (these require some skill to install - stud finders are key) or in their guitar cases, they are sitting on a Fender mini guitar stand. For portability they are my only guitar stand I use. The Fender Mini Guitar Stand in folded up position - compact! 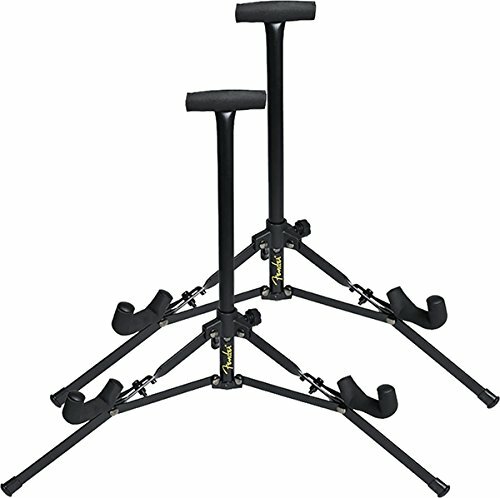 Of course, if your portability guitar stand needs are greater, I also highly recommend the 5 Guitar Fender Guitar Stand. It can be used for stage (or backstage) or for home use if wall hangers are not an option. 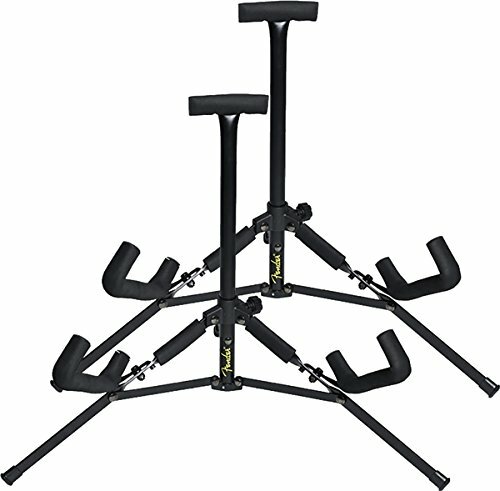 Keep in mind that all of these Fender guitar stands will accommodate any brand of guitar and for size purposes, it is not limited to only a Fender guitar. My Gibson Les Pauls, SG, and Rickenbacker fit just nicely on these guitar stands. I swear by them!